We all remember our first television - that huge black box that sat ominously in the corner of the living room and gave you a static shock every time you touched the screen. Many of us may not even remember a time when a flat screens didn’t exist. Now, televisions are almost like mini computers - their processing capabilities are huge. Smart TVs rule the market, and are hubs that hook up to the Wifi so you can stream films, watch television shows via catch-up and even browse social media. But that’s not all. Compare the colour quality of the latest TVs to one you had in the 90s and you’ll be shocked at how bad the picture used to be. Realtime colour had to be diluted so old televisions could decode and display the picture quick enough. Now, we see movies and television shows almost how they’re meant to be seen - in all their glory. This is thanks in part to advances in processing power and the development of individual elements that make up the television screen. You’re probably familiar with the term LED. It stands for light-emitting diode and essentially means that your television is capable of a greater contrast ratio. Blacks appear blacker, creating a sharper image. Televisions are also slimmer and use less electricity. OLED, which stands for organic light emitting diode is the latest advance in television technology. 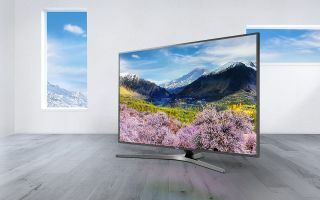 OLED televisions produce an even better picture because each screen cell has its own light source, which prevents light from spreading into areas where it shouldn’t be. Then there’s the difference between 4K and HDR. The average television these days is 4K ready, so you’re guaranteed a high quality picture and a sharper, more realistic image close-up. HDR is like the health supplement to 4K. It boosts it to a level where films and television shows are displayed as they’re meant to be seen in real time, with no colour dilution due to the lack of processing power. Televisions sizes these days can be cinematic in width, but for the average lounge, you’re not looking at one quite so big. In fact, the size of the screen should be 1.5 times smaller than your viewing distance. So take note of how many inches your sofa is from your television then divide by 1.5. For example, a sofa 75 inches away from a television could require a screen size of 50 inches. Of course, it can also come down to personal preference. So, with all that in mind, let’s take a look at our round up of the best rated and reviewed smart tvs for the average household on the market right now. When people shop for a TV, they want to know that they’re investing in a television that’ll offer superior picture quality. Thanks to the 4K LED screen and Sony’s TRILUMINOS display, this television promises rich and realistic colours, smooth shading and texture. It also boasts Sony’s X1 4K HDR Processor engine, so it’ll upscale films and television shows to realtime colour quality. With an Android operating system, expect to have access to the likes of Netflix, Amazon Prime and Youtube, in addition to Youview catch up. It’s super slim and stylish, too, with a thin bezel to create the illusion of an edge to edge picture. You won’t be taken aback by the price either - all good reasons why we’ve named this TV our number 1 pick. If you’re someone who likes to know that they’ve invested in the very latest technology, we bring you the marvel that is OLED. This LG TV delivers an even clearer picture than an LED TV and thanks to Dolby Vision, it promises contrast and colour like nothing you’ve seen before. This television also benefits from 4 colour pixels instead of 3 so naturally, you can expect ultra-fine colour gradation for the most realistic picture quality you can possibly get. Thanks to the webOS smart platform, you can stream the likes of Sky Movies, NOW TV, Netflix and Amazon - great for nights in. The screen is as close to paper thinness you can possibly get, and it also features a pretty cool Marvellous Magic Remote, so you can control the tele with finger gestures, pointing and your voice - pretty cool. 3. Samsung UE40MU6400 HDR 4K Ultra HD Smart TV, 40"
If you love spending your weekends working through the land map of the latest video game, this television has been primed for fast-paced action, thanks to Samsung’s Automotion Plus processing, which promises to deliver a smooth and blur-free picture. As one of the forerunners to HDR technology, Samsung have also packed in a lot of picture-related tech to offer up the best viewing experience. The Active Crystal Clear Colour tech is capable of reproducing 17 million colours, with a 20% wider colour space than standard UHD. It’s also worth mentioning the UHD technology, which aims to deliver more realistic shadow- great if your game graphics are dark. The smart hub features all the popular apps, minus catch up, although you have access to BBC iPlayer, ITV player and the equivalent from channels 4 and 5. If you’re a massive fan of movies, we can assure you that this television has been packed with all the necessary technology to give users an ultimate viewing experience. Thanks to the OLED technology, picture quality is already more vibrant than standard LED. This television also features a Studio Colour HCX 2 processor, so it achieves greater colour accuracy for that director- intended experience. To further assure you, it also features a THX certified display- that means it’s undergone 400 independent lab tests to ensure it delivers picture quality to the required exceptional standard. Featuring an ultra-thin screen and bezel, it’s incredibly futuristic in its appearance. Let’s not forget its smart hub, where you can find catch up services and the usual suspects, including Netflix and Amazon Prime. We understand that you may not want to pay an arm and a leg for a television that’s going to go in the kids’ room or the guest bedroom. This HD ready TV may not offer the best picture quality, but it’s plenty good enough for a second television. A bonus is the in-built DVD player, so you keep the kids quiet in the playroom when you’ve got chores to do. It may be budget, but it’s still boasts a smart hub, so apps such as Netflix, Youtube and even Freeview catch-up are all available. Reviewers think it’s a great TV for the price and we think for less than £200, you really can’t go wrong.